← Too Much Praise For Paul The Octopus? After all the teams that I was supporting in the world cup got knocked out, I couldn’t help but support Uruguay. 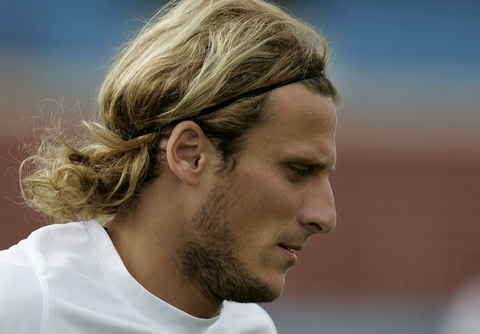 Diego Forlan has to be one of the most captivating football players I’ve ever seen. His golden locks, his piercing blue eyes, his wonderfully unique nose, and let me not forget his mad skill, have surely won the hearts of many? Well, kinda. He was named player of the tournament, but I’ve seen blog sites listing him as one of the ugliest football players along with Wayne Rooney and the likes of Spain’s Carles Puyol. Are these people blind? I can understand why a guy like Wayne Rooney would make it onto the list, I mean it’s been said that the guy looks like he was born with foetal alcohol syndrome. There’s just no comparison *cough* – in my humble opinion. The Joke of Manchester United. After playing for Independiente in Argentina at the age of 23, Diego Forlan was signed by Manchester United in an 8.2 million euro deal. Sir Alex Ferguson surely regretted brining Forlan to play for United when the player took 8 months and 27 games to score his first goal. The English Press dubbed him ‘Diego Forlorn’, he came to be seen as somewhat of a joke, and he was later sold to Villareal. The Charitable Family Man. Diego set his heart on becoming an international soccer star when his sister was crippled in a car accident. He was only 12 when his 17-year-old sister was sentenced to a wheelchair for the rest of her life, and his family knew that they would be unable to carry the cost of his sister’s ongoing medical bills. Forlan pledged to make enough money to pay for all the medical attention she would ever need. His family even mortgaged his future value to pay for his sister’s vital medical bills. Diego’s WAG Tales. Argentinian model Zaira Nara, Forlan’s girlfriend, or more appropriately his WAG, has a sister named Wanda who became famous for her affair with Diego Maradona. The Promising Tennis Player. In spite of his natural flair for soccer, inherited genetically it would seem, Diego Forlan was actually a promising tennis player in his youth. The Aspiring (Spanish) Pop Icon. Last year (2009), Forlan appeared in a music video for Argentine musician Coti. You only see him in the first and last 5 seconds of the clip, how lame. The Twitter Addict. Forlan loves to tweet. He’s a man of the people it would seem, stating during the world cup that he had become obsessed with twitter. With just over 700,000 followers, Diego Forlan believed that the constant tweeting of fans helped him and fellow Uruguayan teammates to get into the right frame of mind. Those are all the interesting facts that I could find on Uruguay’s hero, but I’m sure there may be more that you’d like to share. One thing is for sure – he’s not all beauty and no brains – well maybe he is, but he certainly doesn’t lack depth and character. Life certainly hasn’t dealt him an easy hand until fairly recently. Guess who’s a Forlan fan? I am duh. This entry was posted in Uncategorized and tagged Diego, Diego Forlan, Forlan, Uruguay, world cup. Bookmark the permalink. That makes two of us Ricky-d! Forlan is the man! Sounds like you live in/were in SA for the world cup? I live in SA so I was also around at the time, but didn’t think to stalk Diego … I wish I had cos I’m still feeling somewhat starstruck. Hopefully he will play again during the world cup Brazil 2014 – I’ll definitely be a Uruguay supporter unless Bafana up their game. i love what you wrote and i think those who hate or think Forlan is ugly are totally blind. I knew someone has set up a facebook site “i hate Diego Forlan” and honestly i don’t know why would someone do that. He is such a lovely, warmheart and talented individual. I LOVE HIM. I wish i could love him less so i dun think of him much 😛 I look forward to seeing him and Luis to bring Uruguay to the top of the world in no time. I’m saving up for a trip to Spain to see him play next year. can’t wait really, Te Amo Forlan. 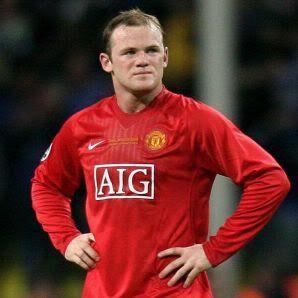 i hope he is gonna win another Pichich and golden boot award for 2011. he is my superherto!!! I’m glad to hear that someone else shares my obsession. I had lunch with a friend the other day who was telling me about her experience working as a FIFA volunteer. She said that she worked with the press and got to stand in the same room as Diego and that he is even better looking in person. I felt jealous in that moment but then decided to live vicariously through her story. Perhaps this is what I must do – get a soccer related job and stalk him! Hooray!